The career building and endurance is difficult and tough. You want to rise from the job title and be positioned at a higher rank. If you are leading the path ambitiously it is going to take a lot of hard work. 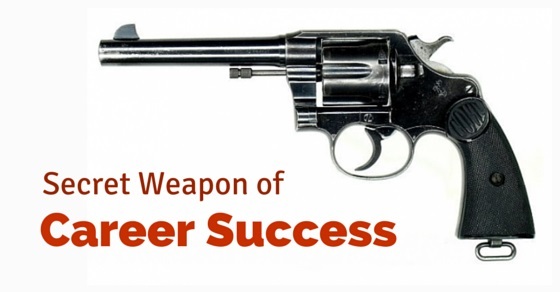 However there is a secret weapon out of the many weapons which you can effectively use to your advantage of your career success. The weapon is to network professionally which proves to be a strategy that helps in more success while inclining the career and at the same time makes the progress more enjoyable. From the help of the points below you will learn the benefits of the secret weapon and extract maximum utilization from it. Networking is a best option to share great practice knowledge, learn regarding the business methods of your acquaintance and stay updated of the latest industry advancements. A vast links of learned interconnected contacts means extensive access to new, inventive and valuable information. Attending seminars, meetings or annual industry outings as well as social network discussions on industry development can all bring to you new information. Guidance is necessary at any point of your career, if you are a veteran or you are someone starting up in the career. Forming and maintaining of set of contacts in the industry is a fundamental process that ensures guidance throughout your career. There may be circumstances where you are on the verge of considering a career change or taking into account potential for a promotion. Such circumstances are better facilitated by others. Networking may get you to a mentor or you could be attending the organization or industry outings in seek of guidance. A great web of network, well maintained will be a bounty of opportunities and breaks. When you are ready to start up for a job title, there perhaps you will be getting many career openings through the reference of your networks. This increases your chances of getting hired as it is research noted that employees appointed from referrals are more swift sign ups than employees hired through some career website. Even if you hardly or never come across any breaks as such, you are definitely to find some remarks or expressions through your networks that totally changes the career prospect for you. Besides employment openings, networks can grant chances over discovering volunteer work, interests and even technology and trends related to a new industry. The journey of your career will have a lot of bumps however can grow by leaps and bounds with a set of hardships, burdens and troubles. An intense reinforcement and support system will aid in coping with the trials and accomplishments more efficiently. The networks maintained will always be there to back up and strengthen you whenever you are in need of it. However remember it is a two way process. The daily encounters in the career can be mutually resolved with an open communication system with your networks in the industry. The people who lack professional networks limit their skills and knowledge in continuous learning. The professional networks provides with a passage for discovery to delve into, which otherwise would not have been possible. Most people gain insights on business through discussions on social networking and most others may explore novel and pioneering tips from an industry acquaintance at a seminar. The networks prove very beneficial when it comes to exploring an industry from all corners and coming across innovative ideas. Personal as well a professional development and augment is imperative to a successful career. The networks in the industry will be helpful to guide you to reach new levels in your career. Simply everyday encouragement and inspiration can be helpful for you to incline in your career. The networks can also be pushing you for certain rank for which you have doubts and felt it was out of your dominion. Any niche knowledge of which you have no access to can be brought to your revelation by the networks that helps you climb the ladders of your career. One of the features of career is that the power to it lies inside of you. The status cannot be judged by having visiting and business cards of a number of individuals in the industry. Conversely you have to maintain a strong professional relationship with a small amount of them. Personal branding will bring you success in the form of proficient status. However it is crucial to jot down that the most accomplished brands are those who are backed by a considerable and influential network of acquaintances. A resolute set of networks can be a powerful asset to you and for the various career needs. Each of the connections and links you have built and maintained has to be considered as unique reserve of experiences. This is because the network asset will prove to be cracking with number of information with regard to your career and every aspect related to it. Their experiences will be helpful in your challenges and opportunities. Thus networking is resourceful. Everyone knows the fact that you are influenced by the people you hang around with and it reflects who you are and what you do. Thus it is imperative that you have positive surrounding. It should consist of people that facilitate for your elevation and thriving in your career. Networking itself is a positive process and the people who get involved in networking are people who believe in positivity and uplifting. When you have acquaintance in your links that are positive it inspires you to use their modus operandi. More you get involved in knowing new people in your industry and building networks the more confident you become. For the success of career it is fundamental that you become confident in making connections and building strong, influential relationships. Networking is very advantageous for people who are not so confident in making conversations. It helps them learn and grow in forming lasting relationships. It eventually makes it easier for the individual to communicate and it all the more benefits for the career. If you are a business owner or plan to own in your career networking will come in handy. It will help in acquiring new business leads. You can directly connect to someone who is already in the industry. Always follow up and be certain of making it professional. Find common courtesy during follow ups and do not push people into venturing. Always be aware of the time for following up. When you have sufficient networks you become carefree as it reduces time which is spent in seeking job, clients or getting ideas or knowing what is trending in the industry. You can concentrate on other factors that lay towards success once you have the strong weapon ready. You will come across less worrying and focus more on the target. Through networks you know how to face challenges and overcome failures thus increasing your efficiency at work. After meeting new people in the industry and building contacts with them you will tend to share your ideas and influence others. The word of mouth spreads and you may come across many people in the industry who seek advices. Sharing your experiences and perspectives will display how proficient you are. Being known as a professional in your industry and being acclaimed for what you do can facilitate in opening doors to getting engagements, opportunities and more contacts with others in your career. The best way to know what competitors are strategizing in your industry, networking is simply beneficial. To build competitive strategy for yourself and the organization you work for, networking aids in acquiring knowledge about the deeds of the competitors. Thus you can promote yourself and the organization in your industry in a different perspective unlike your opponent and create an exclusive project. Networking provides with the chances of contacting people who know your competitors. Some of your networks can be helpful in bringing you some fresh ideas with different perspectives. The network can make venturing easy by telling you the potential challenges, experience to succeed and setting higher goals for your career. As an innovative thinker you can also provide your contacts with new ideas to keep the relationship mutual and credible. It helps in building a professional reputation in your industry. Networking will get you many friends and many of them long lasting. There have been many great mentor and friendship relations acquired via networking. People have contradicting opinions regarding maintaining friendships at workplace and after leaving a job or a change of career. However remember you will spend much of your time at workplace and so you need to be open to friendships with people. The basic reason for it is you will be in stressful situations, facing risks and so support from friends is indeed required. Let your network be your secret weapon when it comes to your career. It is never too late to begin forming a vast network of beneficial relationships. Efficient networking is all about the people you are aware of and meeting new people via other people. The network will be as strong as you manage to build and preserve it. Keep up with people and build integrity, work hard and share, it will prove as an effective secret weapon for your career success. Next articleWhy am I not Getting Promoted at Work?